If you use Clarify 1 then you may need to turn off the menubar (OS X) or status menu (Windows) helper. 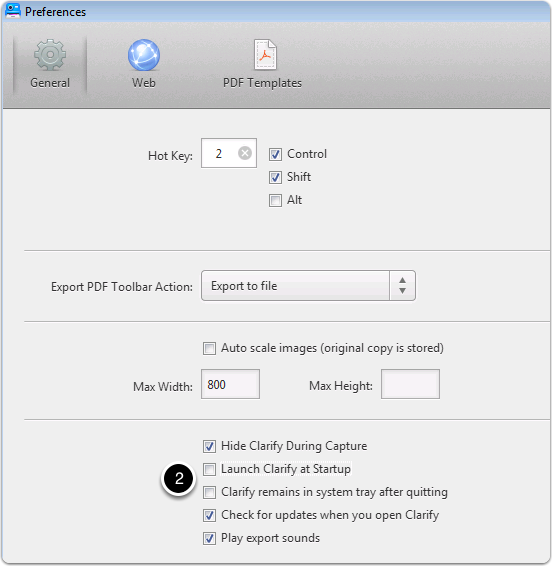 This article will show you what to do before running Clarify 2 so that the Clarify 1 helper application doesn't interfere with Clarify 2. 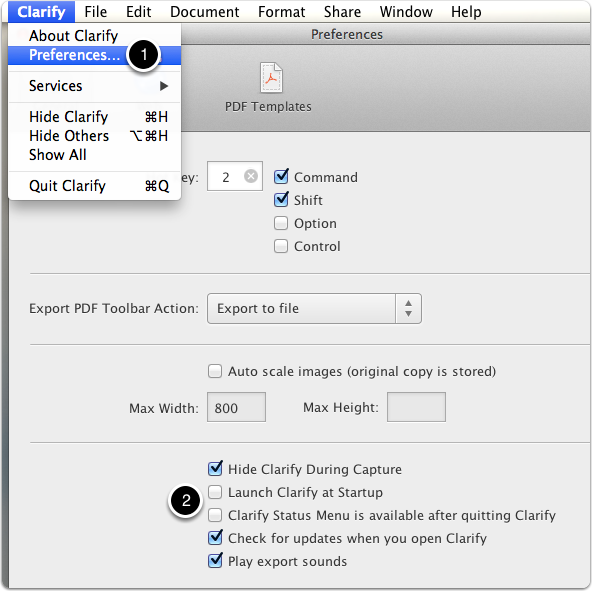 Uncheck Launch Clarify at Startup and Clarify Status Menu is available after quitting Clarify. 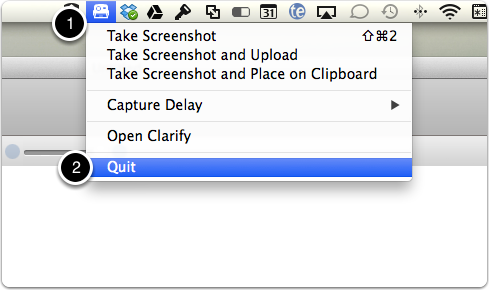 From the menubar (1), click on the Clarify icon and select Quit (2). At this point you can launch Clarify 2 without any interference from Clarify 1. 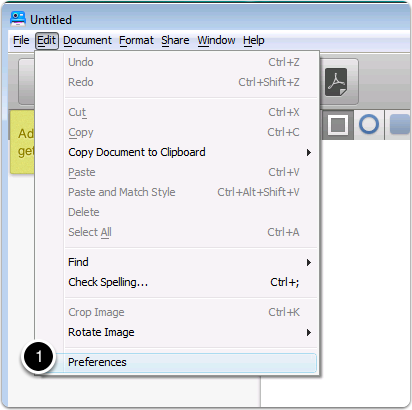 The Clarify 1 helper application will only activate when Clarify 1 is running. 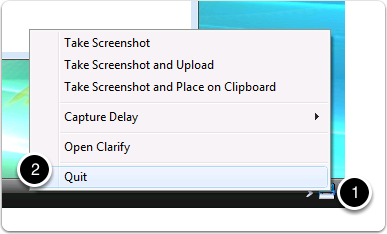 From the taskbar (1), right-click on the Clarify icon and select Quit (2).